The University of Kentucky's data analytic Master of Applied Statistics (MAS) degree is taught using the latest lightboard technology and weekly "chats with the professor." 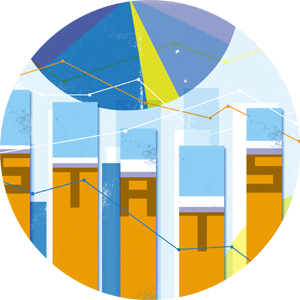 In keeping with the University's commitment to excellence in education, the University of Kentucky Department of Statistics is proud to offer the Master of Applied Statistics online professional graduate degree program. Check out some of the introductory videos for the courses for the MAS program. Who should apply to the program? The program was developed in an effort to reach a wide audience including working scientists, traditional and non-traditional students and professionals looking to expand career opportunities through building statistical expertise. The program’s 1-year, 2-year and 4-year track options allow students the flexibility to complete the coursework at their own pace. What will students get out of the program? The Master of Applied Statistics will provide students with a variety of skills that include managing ‘big’ data and successfully describing, analyzing and making inferences using current and rapidly evolving statistical methodologies. These data analytic and computing skills will prepare students for a variety of positions as statisticians in industries such as Google, Intel and Pfizer, Wall Street and a number of federal, state and local government agencies. We are confident that you will find an enriching curriculum in our online Master of Applied Statistics program.